We decided it was time. Everything had moved from the Ryman to the brand new Opry House at Opryland the year before and a man we knew had been nominated for a song he had written. 1975 would be the perfect year for the hillbillies to dress up in their finest and attend the GOSPEL MUSIC ASSOCIATION DOVE AWARDS. I ordered the tickets well in advance so we would get the best of the seats we could afford. The whole thing was pretty exciting to us (Daddy, Momma, and me) but we were trying to act like we belonged there and everyone we were seeing was no big deal. The usher showed us our seats and imagine my surprise to find I was elbow to elbow with a stately older gentleman and his lovely wife who weren't merely nice folks to sit beside. Both were music legends I had loved my entire life! Shucks! My Daddy had listened to them most of his life! During the evening I found them both to be very friendly and down-to-earth people. I won't say too much about the wife in this column (even though she has always been one of my idols, tried to sing like her and even had a secret crush on one of her sons) because she is a story all her own. Most people younger than my generation haven't had the pleasure of hearing the velvet voiced gentleman sing hymns on every TV show on the air like I did. Keep in mind as you read this, he was from a different time and a place that was much different in those days. James Houston Davis was born on September 11, 1899 -- maybe. Nobody really knows for sure exactly what year. He was one of eleven children born to Sarah Elizabeth Works and Samuel Jones Davis in the then town of Beech Springs in northern Louisiana. His family was very poor and so large that they couldn't even remember what year when young Jimmie was old enough to ask. He never really knew for sure himself though the census records in 1900 attest that he was born in 1899. He was the embodiment of the clique' "I was just a poor sharecropper's son" but he graduated from Beech Springs High School, , Soule Business College, received a bachelor's degree in history from the Baptist affiliated Louisiana College and a master's degree from Louisiana State University. His master's thesis in 1927 was called COMPARATIVE INTELLIGENCE OF WHITES, BLACKS, AND MULATTOES. During the late 1920s, he taught history and yodeling at the Dodd College for Girls in Shreveport. Jimmie stayed at Dodd College for a year before taking a job as court clerk in Shreveport. While working there during most of the 1930s, he became interested in politics as well as music. Though he could neither read nor write music, he began to write his own songs and went to Memphis to make some trial recordings. He married Alverna Adams who played classical music on the piano. She helped him put his music on paper. He had some success with songs like "Nobody's Darling But Mine" (thought that was an old cowboy song didn't you?) and "It Makes No Difference Now". 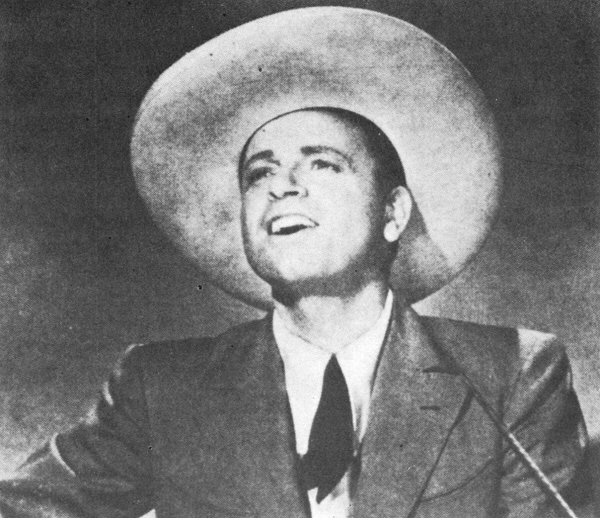 Other top singers of the period including Bing Crosby, Gene Autry, Guy Lombardo, and the Andrews Sisters also recorded his songs. We remember his country and gospel songs but some of his early work was bluesy and raunchy like "Red Nightgown Blues" which some of his later opponents tried to use to discredit him. He wrote and recorded "There's a Gold Mine in the Sky" in 1938. That same year, Davis was elected as Shreveport's public safety commissioner making him head of the police and fire departments. On February 4, 1940 recorded a song he had just finished writing called "You are My Sunshine". (I know some people say it was an old folk song but Jimmie Davis always insisted he had written it and he was given credit for doing so.) It became an immediate hit. So did the versions of the song recorded by Bing Crosby and Gene Autry. Over the next 60 years that song would be recorded by more than 350 artists, sell millions of records, and be translated into 30 languages. In 1942 he was elected to the Louisiana Public Service Commission but left two years later to begin his first term as governor. Jimmie Davis' run for governor did not sit well with the remnants of the Huey Long machine who wanted to continue the power they had held for twenty years. His opponents tried to convince voters he wouldn't make the governorship his first priority and he was likely to just leave for Hollywood at any time. They played his songs that were considered to have raunchy lyrics but the crowds would just start dancing and ignore the words. He won easily. During his first term in office 1944-1948, he did set an absentee record by going out to Hollywood to play in B westerns as the singing sidekick of cowboy hero Charles Staret. He also continued to write and record songs like "Is It Too Late Now" and "There's a Chill on the Hill Tonight". His hit song "There's a New Moon Over My Shoulder" was released in 1945. He often sang at campaign stops and was known as the Singing Governor. The major accomplishment of his first term in office was to see to it that all drivers of automobiles in the state of Louisiana were required to have a license. To show how important it was, Governor Davis received the first driver's license ever issued in the state. He was not allowed by law to succeed himself as governor so he continued to concentrate on his music and his business interests in Shreveport. His music had made him rich but he bought 450 acres of land just in case things went bad and he had to resort to farming. crowded field and easily defeated the Republican candidate Francis Grevemberg in the general election. He signed segregation bills that basically gave local schools boards the power to determine which schools stayed open and which would be closed due to Federal Court orders to admit black children. This was part of the theory of "interposition" which insisted the states could interpose themselves between federal law and the people who found the law to be too burdensome. In spite of the rhetoric, desegregation was handled smoothly so that there was no violence and no closed schools during the transition. Some of the major issues during his second term included his veto of right-to-work legislation and getting the taxpayers to pay for a new 12 bedroom 18 bathroom Governor's Mansion. It was said he got the Legislature to approve the million dollar expenditure by threatening pet projects in their districts. There were some major accomplishments during this term including keeping taxes down, taking steps to preserve forests from rapid depletion, building hospitals, repairing and creating roads, raising teachers' salaries, and setting up the state's first civil service system. He built the Sunshine Bridge and the Toledo Bend Reservoir even though these were not popular projects at the time. He coordinated the pay periods of state employees who often had not been receiving their paychecks on time. 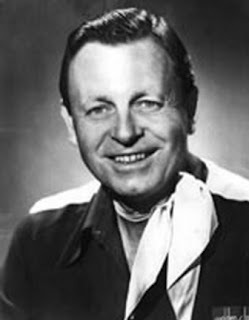 After leaving office for the second time, Jimmie Davis continued to sing mostly at churches and did guest spots on various TV shows. He recorded several southern gospel albums and served as president of the Gospel Music Association in 1967. His admirers were disappointed in 1968 when a bill to make "You Are My Sunshine" the Louisiana state song was vetoed because the song didn't mention Louisiana in the lyrics. The song later shared the honors as state song with "Give Me Louisiana" by Doralice Fontane who mentioned Louisiana repeatedly. Davis ran for governor of Louisiana again in 1971. The Democratic gubernatorial primary was crowded with new political prospects. He finished in fourth place with 11.8 percent of the vote. His days as a politician were over. During his career Jimmie Davis received many awards and honors. The Jimmie Davis Bridge atop the Red River was named in his honor during his second term as governor. Jimmie Davis State Park is located on Caney Lake. A replica of the Davis homestead and the Peckerwood Hill Store that served his community (which is no longer there) was erected at the site of the Jimmie Davis Tabernacle in Jackson Parrish. Davis was inducted into the Delta Music Museum Hall of Fame, the Nashville Songwriters Hall of Fame, the Country Music Hall of Fame, the Southern Gospel Music Hall of Fame, and the Louisiana Music Hall of Fame. He was among the first thirteen inductees into the Louisiana Political Museum and Hall of Fame in Winnfield. Jimmie Davis lived 101 years and 55 days departing this life on November 5, 2000. The statesman, actor, singer, songwriter wanted to be remembered as "someone who scattered a little sunshine along his path". Thanks! I am glad Larry gave me this opportunity to introduce younger people to artists who have touched my life in some way over the years.